Some rumors have been spread that SIRI is available not for only iPhone 4S, but it works quite well on iPhone4 and iTouch 4 as well. The author of the rumor is an iPhone hacker Steven Troughton-Smith, who has tweeted that he had successfully ported SIRI to the older devices. The users of old devices were extremely happy because SIRI is the most wanted function of the phone form the very first moment it was introduced. 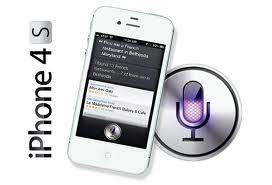 The fact that there are Siri files on iPhone4, meaning that it may work for iPhone4 as well, however, doesn’t guarantee that intelligent voice assistant will come for iPhone 4. Apple spent hundreds of millions of dollars for developing SIRI and after this did anyone really expect that Apple would support plans to offer it on older devices?! It’s more than obvious that if Siri rolls out suitable for older devices as well, the iPhone 4S sales will be cannibalized!